Opal Saigon Pearl apartment is the last apartment in the famous Saigon Pearl project in Saigon, moreover, Opal Tower possesses the great advantage. 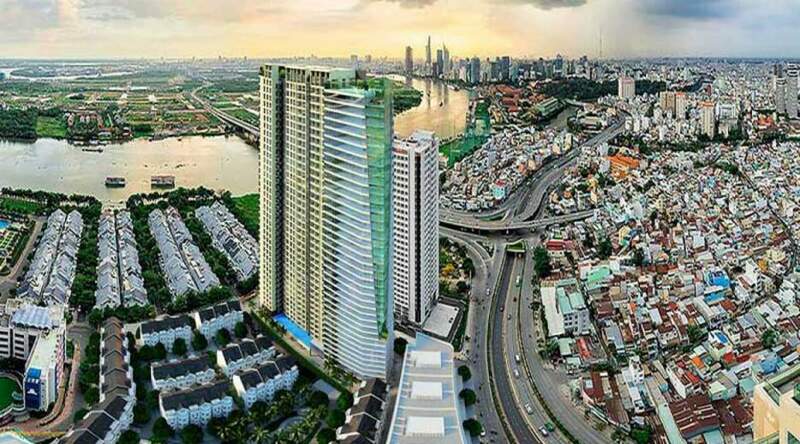 The apartment project is located at 92 Nguyen Huu Canh Street, Binh Thanh District, which borders the gorgeous Saigon River. With the catalog of villas in the whole project, Opal Apartment Saigon Pearl is an ideal residence for all residents living and working in Ho Chi Minh City. This is an area that has both the modernity of grade 1 urban area and the tranquility of high-end resorts. Therefore, when staying at Opal Saigon Pearl, you will experience all these wonderful things. You can contemplate the beautiful shimmering light at night and also enjoy the fresh air with the trees swinging in the wind each early dawn. Everything you need will be met with full of luxurious furnishings and impressive unique architecture. Of course, you will also enjoy the top-notch amenities inside the Opal Saigon Pearl Apartments where you choose to live or invest. With a 40-storey building, apart from the floors reserved for high-end apartments, the building also spends the basement and floors below for investment in amenities such as shop house, commercial center, shopping mall… Especially, the 3rd floor of the building is equipped with a spacious pool, community center, and modern gym. In general, the most basic amenities will be available right inside the Opal Saigon Pearl apartment, and you can easily experience it without leaving the building. 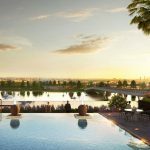 In addition to the top-notch facilities inside, the Opal Saigon Pearl apartment is part of the Saigon Pearl luxurious complex project, it also inherits the benefits of other facilities of the whole project. This chain of facilities is really impressive, full and classy. You will not lack anything when living here because all of utilities and needs are available in Sai Gon Pearl. – The system of inter-school to meet the learning needs and cultivate knowledge of the younger generation. – General hospitals help to opportunely solve problems related to the health of residents. – The cool green Park and large internal roads along the Saigon River. – The International standard swimming pool is located in the open-air. You can swim here or inside the Opal Saigon Pearl. – The marina offers Saigon Pearl residents the ultimate experience of 5-star entertainment. – Spacious basement equipped the smart magnetic card and control panel to help car move faster and safer. – Security 24/7 with security guards and surveillance cameras operating continuously at all times. – If power cut, people living in Opal Apartment Saigon Pearl do not worry because the project equipped with the modern backup power system, ensuring 100% of electricity demand for all apartments (air-conditioned, air conditioning). With attractive facilities inside both the building and the project area, you must have the comprehensive view of Opal Saigon Pearl. To assess whether the apartment is really a place to live or not, perhaps you also have the answer for yourself. If you would like to find out more about Opal Saigon Pearl Apartments, book or preview a model apartment, you can contact us directly. 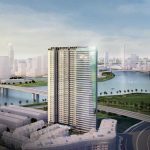 How Prestigious Is Opal Saigon Pearl?